This is essential for google search results.The reason, why you should put post title at the beginning is because most visitors like to search certain keyword or content. So, you must put your post title at beginning. 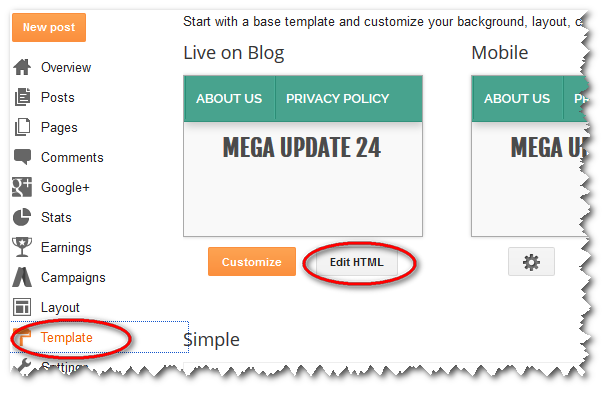 Step 2: Click inside the HTML code and press Ctrl + F for open the Blogger search box. Step 3: Type the bellow code inside the search box. Step 4: Now you should replace the code above, with bellow code. Step 5: Click Save Template and done your work successfully. Hope so, successfully you can do it mean, SEO Optimize Blogger Blog Post Titles easily. If you like this post, Don't forget to share this post-Facebook, Twitter, and Googel+. Face any problem must inform me via the comment I will try to solve it.